Personally I prefer crepes but the kids love these American pancakes. Batter is a thermomix guided recipe which was done in 10 seconds, no thinking required. Yahoo! 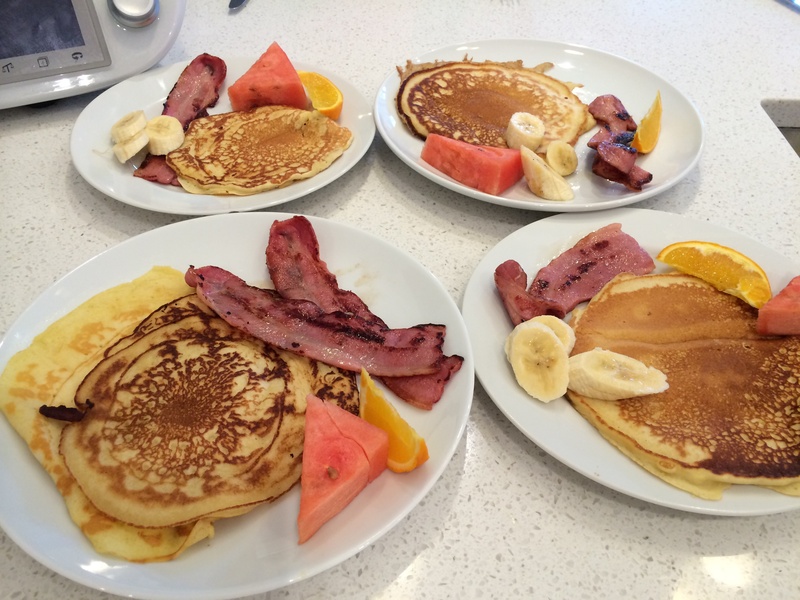 Happy Birthday breakfast for Miss 14.